MOSCOW (Sputnik) – The trade disagreements between the United States and China are likely to escalate in 2018 and affect the growth of the global economy in the following year, the Moody's Investors Service rating agency said. "We now believe US trade tensions with China are more likely to worsen this year, weighing on global growth in 2019. We also expect more restrictions on Chinese acquisitions of firms in the US and Europe. Hence our base case now assumes that the US administration will go forward with some of its proposed additional restrictions on imports from China," the agency said in its August update to the Global Macro Outlook for 2018-2019, released on Wednesday. Moody’s suggested that the implementation of US tariffs on Chinese imports and Beijing’s retaliatory measures would result in a decrease of up to 0.5 percent of China’s real GDP growth in 2019. However, the Asian nation’s authorities would likely react to these changes by pursuing a moderate fiscal policy and liquidity easing measures, the agency added. "As for the US, the underlying economic momentum remains very strong, with the economy adding more than 200,000 jobs a month on average even with a historically low unemployment rate of 3.9% in July. We estimate that trade restrictions will shave off about one-quarter of a percentage point from real GDP growth to 2.3% in 2019, offsetting some of the strong momentum attributable to the fiscal stimulus," Moody’s pointed out. It also expects the GPD of G20 states to go up by 3.3 percent in 2018 and by 3.1 percent in 2019. "The advanced economies will grow 2.3% in 2018 and 2.0% in 2019, while G-20 emerging markets will remain the growth drivers, at 5.1% in both 2018 and 2019," the agency noted. The trade row between Washington and Beijing erupted in March after US President Donald Trump, who has repeatedly pledged to fix the US trade deficit with China, announced that his administration would impose tariffs on imported steel and aluminum. 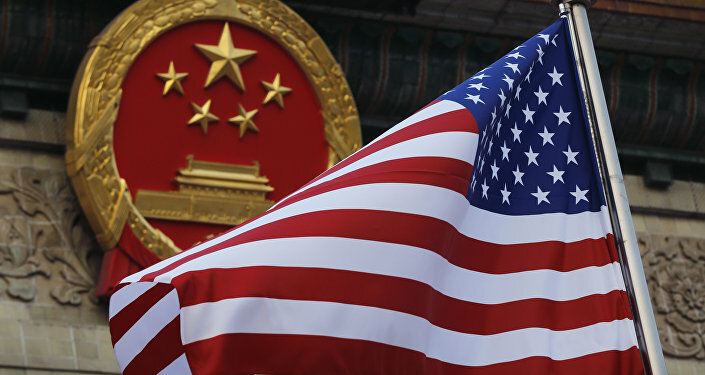 READ MORE: US-China: From Trade War to Hot War? Since then, China and the United States have imposed several rounds of import duties on each other. In the most recent case earlier on Thursday, China introduced 25 percent tariffs on $16 billion worth of US goods after Washington imposed the same tariff rate on the same value of Chinese goods.